Food & Water Watch: Carbon Tax Is a Sham Truthdig. Lee Camp. Translation: ICE is escalating its assault on North Carolina’s immigrants to retaliate against local law enforcement for ending their cooperation with ICE. Trump says Isis has been defeated, but he is ignoring the bigger and much more worrying picture Independent. Patrick Cockburn. IN NAVY DISASTERS, NEGLECT, MISTAKES, AND 17 LOST SAILORS ProPublica. Part three of a series; I’ve linked to the previous two parts. THE FITZGERALD COLLISION: IN SEARCH OF THE ONUS War on the Rocks. A different perspective. Chris Christie’s Agonizing New Memoir Rolling Stone. Matt Taibbi. This entry was posted in Guest Post, Links on February 11, 2019 by Jerri-Lynn Scofield. What ever you do don’t click on the hyperlink – this picture – if you cherish your optic nerves …. and if you fail to heed this warning for the love of goat don’t read the next sentence below it. That Taibbi is great stuff. Whatever one thinks of Trump, DT clearly had Christie’s number and gave him the treatment he so richly deserved. One would like to think he’s doing the same thing to all the other villains he has surrounded himself with (this is Antiwar’s Justin Raimondo theory on Venezuela). Unfortunately that’s probably giving too much credit to our bumbler in chief. Trump needs a foreign policy win to distract from domestic political woes. Its a time honored tradition. His basic problem is Africa is covered and the low hanging fruit is off the map. The South Koreans put an end to saber rattling on the peninsula (Trump pivoted to NK twice after ACA repeal fiascos…funny how that works). The problem is the official enemies list capable of producing enough support to justify a MIC investment is growing short. Venezuela? Do we (Americans) even know where that is? Near Rand MacNally on the globe? Syria at least is Baathist, like Sadaam Hussein, an official enemy. Obama was able to go into Libya because Gaddafi was a public enemy and near the end of his life anyway without a proper succession plan. Assad? Who cares? I don’t know him. He’s not on the tv. China and Russia aren’t going to be separated after the last 18 years of the U.S. War on the World. At least in the 1980’s, DC tried to pretend we weren’t conducting coups against leftist governments. Now they are open about it because its about the foreign policy win. My guess is Trump wants a win and Bolton found him something after Bolton couldn’t put together an anti-Iranian coalition. My guess is Trump will bounce twitter attacking “enemies” and whining about trade at a near unprecedented level, partially because the military might not be so ready for combat as demonstrated by the navy’s troubles and the easy targets are off the board. Maybe it’s about this. We could be overthinking it. Or more seriously it could be about all the powerful donors he needs to run again. Our financial elites have long been painting a target on Venezuela. That sentence pretty much has it all. Well, it’s very funny anyway. Make’s me think of hunter a little, with the super deflating low bar conclusion. It lands with a satisfying thud on the mean and stupid christie caricature; satisfying because christie built 90% of the damn thing himself, so caricature or not, it has the ring of truth. Brilliant, epic Taibbi; they broke the mould for Hunter T, but Matt fills the niche ably. A cautionary tale for anybody who imagines Trump is stupid or insane. Mouse, meet cat…. Like something out of House of Cards (the Ian Richardson tour de force, of which the Spacey version is a dull echo). The top contributor to the loss of insect, especially pollinators, is loss of habitat. If you’re responsible for any little patch of land that’s planted in lawn grass and mowed weekly, replace the lawn with flowering herbs and shrubs or native grasses. Don’t mow! If your city, suburb or homeowner’s association stupidly mandates lawn grass and mowing, raise hell and point to these dire warnings about insect populations. Grass lawns are a food desert for all kinds of wildlife, including insects and especially pollinators. It’s not pointless. I began converting the pitiful “lawn” on our inner-city lot to gardening space seven years ago by putting in beds. Three years ago, I really shifted to a permaculture approach that emphasized perennials and self-seeders with multiple uses, and one of those uses was feeding pollinators. Within a year, the garden was filled with all kinds of flying thingies: moths and butterflies; carpenter and honey bees; wasps; ladybugs; etc. I’ll finish converting my tree lawn this year. Meanwhile, we’re forming a neighborhood group to encourage the city to plant food forests and native grasses in our many vacant lots. At the very least, restoring a little habitat can keep things going until we come to our senses as a society and make some radical, broad changes. At best, it will help bring that coming to senses more likely by showing people what can be done. Not only is this a great idea, but I would tell people. You are doing this on the website but I would talk it when you can. And that also applies to readers! Lambert has replaced his lawn with what he calls a “grandmother’s garden” and the neighbors like it, so going anti-lawn can be popular. I also have the impression that while it takes some investment, the maintenance is lower than with a lawn (he’s a big fan of sheet mulch in this regard). And Lambert deserves some of the credit for my making a switch to a permaculture approach. NC is one of the places that introduced me to it. Treat those bacteria and mycelia right, and they’ll do right by you. The Permaculture Manual by Bill Mollison. Every library should have one for people to read and learn from. We have bought four, so far for public libraries around us. They are constantly checked out, dog eared and have dirt and water spots on them. It’s a big book and costs $90, but covers all biomes and will allow anyone with time, energy and motivation, to convert any piece of land into the most productive ecosystem possible. A few years ago I converted my front yard to native wild prairie flowers and grasses. Haven’t mowed since. It’s got something blooming from May through September. The neighbors love it and I give out flowers freely. Tons of butterflies, bees, lightning bugs, you name it. It wasn’t expensive to convert. I already had a cheap tiller and the seeds ran $25 at the most. I am fully on board with this concept, and I have been 100% organic and haven’t had a lawn at my last two houses, a period of 12 years. The garden is teeming with insects and birds, more and more every year. I have also created “snags” where birds can nest in the rotting trunks. My garden is a food garden as well and we produce a lot of our own food, and a lot for the neighbors as well. But I have to disagree with this part: “the maintenance is lower”. I really don’t think it is, and its definitely not easier from a labor or time point of view. Weeding, hand watering during the establishment period, controlling those plants that inevitably do too well (just more weeds really) is always going to be much harder work than burning gas while taking a stroll, whether there is mulch mulch or no mulch…and mulching every few years is really hard work! There is nothing easier than using a machine+fossil fuel to get a job done (very energy dense). This is the main reason most people have lawns: no thinking required, and only one minimal skill required which is a lot like steering a car. Going the sans lawn rout is of course what we aught to do, but I’ve found that embracing weeds might be a necessary part of that. Weeds are actually great, some of the most interesting songbirds love, love, love to eat weed seeds! Lambert recommends sheet mulch enthusiastically because it eliminates weeding. How would the equation change if you didn’t have to weed? It’s not only good for the bugs, but also for humans. I remember a link on NC regarding that some time back (but my attempts to find it again have been in vain). It lowers blood pressure in people–just by walking past a barren lot with a bit of nature in the city! That’s another great ‘selling’ point. Great idea. On a slightly larger scale I’d say support organic agriculture. All the acres on our farm will be certified organic by next year and, as part of my annual inspection, I’m asked to show all the ways that I’m improving “habitat”. As well as not using insecticides and herbicides, I grow a diverse rotation allowing for other types of bugs and birds to live. The traditional midwest rotation of corn and beans, with weeds killed with herbicide doesn’t allow for that. Also, there isn’t demand (and therefore infrastructure) for large quantities of “alternative”, but agronomically useful, crops like barley, rye, buckwheat, lesser known types of dried beans, and “ancient” grains. This makes it hard to fight weeds in an organic system. The University of Wisconsin got a grant from the USDA to encourage farmers to transition to organic grain production. The program has been a big help to me over the last 4 years. As more and more folks go vegan, the demand for those crops might change. Our vegan daughter is always looking for more grains, beans and nuts. Good on you for what you’re doing. and if you do have a lawn and it’s small enough, consider buying an old school, human-powered “push mower”. They’re not that hard to use, and no emissions and very little maintenance. Luckily, I’m in an old neighborhood where the lawn thought police aren’t out in force. At the very least, don’t use any pesticides or herbicides. Try to avoid chemical fertilizer. We’ve still got bees ‘n bugs in our century-old suburb in a greater metropolitan area. I’m pretty sure this is in good part because we and a lot of our neighbors have long since murdered our lawns in favor of more interesting, varied, often native vegetation. That’s my front yard, which actually started with a massive sheet mulch – a truck load of leaves. I just took some pictures of it in the winter; will have to send those to Lambert. Our whole place is organic, and the neighbors’, so we do still see a lot of insects. And there are food plants scattered through it; herbs, black currants, tea all make good ornamentals. There is a caveat: it isn’t really easier than lawn, at least unless you’re fanatical about the lawn. Weeding is a constant challenge, especially if something really noxious like wild morning glory gets started. And there are insects we DON’T see that we should, like butterflies. Cabbage butterflies and swallowtails are about all, once in a long while a painted lady or admiral (hard to tell apart without close inspection). There is a compromise: flowering lawns, with a variety of ground covers like white clover (bee food and fertilizer) and yarrow. The best mix depends on where you are. A source, the original I believe: http://www.nicholsgardennursery.com. (I used to work for them, and they could use a little love.) There are others, and you might be able to find one locally. The main ingredients, besides a not-too-vigorous grass, are white clover, strawberry clover, yarrow, Roman chamomile, and English daisies. You could concoct something similar with local natives. It can be left unmowed, will bloom about a foot high. We’re converting a largish urban lawn slowly into permaculture beds, with fruit trees. Starting about 3 years ago when an ancient plum tree fell, we build a mound over the logs from our fallen friend (Hugelkultur), so the wood will store and release rain, provide a home for insects, microbes, and fungi, and slowly become better soil. The next year a raised bed on buried logs and a cherry tree, last year two more beds and 3 trees. The wild arugula (diplotaxis tenuifolia) from the first year went to seed and now covers every open spot with yellow flowers. It is incredibly strong and spicy. A bunch of cherry tomatoes have also decided to self-seed in a couple of the beds, courtesy of ‘chop & drop’. New peach , pear, apple, and sour cherry are joining decrepit apple, plum, and sour cherry trees. We replant tomato varieties, zucchini (alas), melon, peas and beans. And of course a lot of herbs for bees and teas like mint, lemon balm, sage, rosemary, basils, dill. We also managed to score some locally produced terra preta for the beds. The parts of lawn that have not been recovered are only mowed about 3 times a year, so they grow a succession of little wild flowers, presumably native. All watered with captured rainwater as needed/possible. Getting started is the hardest part, start small and the results get better every year. re generics and prices: Doesn’t surprise me (unfortunately). One of the first generation antidepressants (which came off patent in the 1960s) and which has been described as “the mother of all antidepressants” (or words to that effect) by psychiatrists in three countries, costs the UK NHS £10,000 PER MONTH per patient for a dosage that is only slightly above the average maintenance dose. The co-payment in Australia was the maximum the Medicare system there allowed, suggesting the Aussie authorities were also paying huge amounts to buy the drug. I believe there is only one supplier…there could be others, but of course any new entrants would likely face predatory pricing so making their sunk costs, well, sunk, and thereby allowing prices to go back up to extortionate levels once they give up. Some nationalised generic producers could easily rectify this. However, there is no pressure to do anything because the drug in question (like all MAOIs) is fast fading into oblivion – these days only the elderly are “still” on it (and are dying out). Yet, like antibiotics, skewed incentives mean MAOIs are not getting investment (bar a few, like a patch that avoid the dietary issues). Re: The Dangers of U.S. Brinkmanship in Venezuela. A relative of mine just returned from Colombia and said that there were Venezuelan refugees everywhere. It looks like the world will have yet another civil war and refugee crisis thanks in part to American foreign policy. How many will this make now, just in the last ten years? I was in Cali, Colombia when the police raided and dismantled a tent city close to downtown. El Pais reported the raid but wasn’t specific about where these families were supposed to go. It’s a very sad situation; entire families huddled on the sidewalks begging coins. I understand when critics lay most of the blame for this crisis at the feet of the U.S., (Fisk, B., etc. ), but these refugees do not read alternative media and use newspapers as blankets for their children. The refugees who are current with the politics of their situation seem to believe ironically that only the U.S. can bring an end to the ongoing disaster of the Maduro government. How about the United States stop causing the disaster in Venezuela. How about the United States stop causing disasters everywhere? It’s a very sad situation; entire families huddled on the sidewalks begging coins. I understand when critics lay most of the blame for this crisis at the feet of the U.S.
You’ve just described life on the streets in big cities in California. Truly, and here I shall repeat myself: in the US we’ve got more food insecure (including 12 million children) and people without access to adequate medical care than Venezuela has people. A difference in degree, not kind. 3-4 million refugees have left so far, afaik about the same as left Syria, a war zone. And more every day. And we’re seeing whole families huddled under newspapers rather than the single males more common in Ca. Imagine how bad it must be for families to see this as better. Many publications blame the crisis on socialism when most of it is internal incompetence and looting. IMO the situation hurts social movements everywhere, more so when laying the cause of the ongoing crisis on us policy rather than self infliction. Ignoring fairly uniform Stories from expats in surrounding countries seems misguided. For one, we are clearly responsible for a good portion of that misery. Secondly, please check out the human rights horror show in Colombia, Venezuela’s neighbor. Millions were fleeing from there and living in Venezuela just a few years ago, there are millions of internally displaced people because of the paramilitary death squad state we helped to form, and the press doesn’t seem to care. Colombia, unlike Venezuela, cannot say it has been under attack from the US for going on two decades now either. It, in fact, has received the most aid of any country in the region from the US. We are at least partially responsible for both of those horrible situations, but the press and the ideological right only talks about one, for some odd reason. The us gov’t can indeed end it own sanctions, and work with it’s oligarchic allies in Venez. to end the manufactured shortages of food and paper in that country. But ending “the ongoing disaster of the Maduro government” sounds like regime change doesn’t it? Funny how that crept in there. Our answer is no. I’m not sure how a situation in Cali applies directly to Venezuela. Care to comment on Colombia’s human rights record? Biggest US ally in the region too. I mean, you were there, I am sure you are aware. Thank you, JLS, especially for the link to Sudhir Hzareesingh’s article. My compatriot is underrated as a commentator on such matters and rarely on the airwaves. His quip about “la macronie, pays du champagne pour les riches et cacahuetes pour les pauvres,” does not endear him to the UK MSM, largely in favour of Macron. The only skeptic allowed is Philippe Marliere, but he’s a rarity. One wonders if any of Macron’s UK supporters are aware that he lobbied, when visiting potential donors in London, George Osborne for ATOS to get a contract “vet” applicants for and claimants of social security benefits. In the United Kingdom, from 1998 – 2015 Atos Healthcare was at the centre of a controversy over the management of contracts by their healthcare division of the Work Capability Assessment for the Department for Work and Pensions (DWP). In August 2015, statistics from the Department of Work and Pensions revealed that 2,380 people had died between 2011 – 2014 soon after being found fit for work through disability benefit assessments. In 2014, “the DWP negotiated an early exit from the existing WCA contract with the private firm, Atos, after raising concerns about the quality of its work”. One thing that this lobbying exemplifies is how the 1% et al function and fraternise. The left has yet to understand this and respond accordingly. Macron appointed one of his sponsors, Jean-Pierre Jouyet, as ambassador to London. Jouyet’s wife is friends with Macron’s wife. Lines with London donors, including the French diaspora, are actively maintained. Thank you, Colonel. Yes, along with their wealth, the elite have a network of powerful insiders that spans the Western world, allowing them to stifle the left in a variety of ways and from multiple angles. This dynamic certainly presents a formidable challenge for the left. I have read the Publico pieces about the Navy collisions. Stunning reporting. The War on Rocks piece is a whitewash. What really astonished me though is the absolute incompetence described. Crew members who can´t read the Radar and don´t know the most basic things about navigation will certainly not be able to fight in any war. From the articles it becomes clear that all the Pentagon cares about are shiny new ships. And not at all whether the old ones are properly maintained and crewed. A gigantic money generating enterprise divorced from all reality. Like the F-35… Really the empire is in for another much more nasty shock when this whole rickety enterprise is finally put to the test. Totally agree with your assessment that the War on the Rocks article is a whitewash for the Navy. Yeah, it talks about “systemic problems of supply, demand, maintenance, training, and personnel” on the part of the Navy but makes it sound something akin to “mistakes were made”. Blaming those “swabbies” is just low. How about we set up a simulator with a fully-trained crew with no crew shortages and using equipment that was 100% operational in the same scenario and see how it works out then. If the crew couldn’t use the radar it was because it was broken and the crew were not trained in its use. Sorry, but it is the Navy’s job to make sure that the gear works and the crews are trained. Still, this article was by a Hudson Institute wonk so what else could we expect. I spent a little over a year as a clerk in an armored infantry battalion. When we were preparing for a big inspection (i.e., the Division Inspector General) or when the whole battalion went on maneuvers the battalion commander, a lieutenant colonel, spent most of his nights in his office, grabbing a couple hours sleep on a cot. The fact that the ship’s captain and executive officer were both sleeping was mentioned in the WarOnTheRocks article, and in fact the article put most of the blame on them. I agree higher ranking officers should also share in the blame, but do you remember what happened in the Abu Ghraib investigation? Not one officer was held responsible. Almost the same in the My Lai investigation. One Second Lieutenant was court martialed. I recall a couple of higher officers were reprimanded, but that just basically meant they were never going to be promoted again. Both the civilian executives in the Pantagon and the Joint Chiefs of Staff need to be somehow reminded they are not taking care of their troops. Apparently reports from the field don’t penetrate their awareness. Thanks. Publico as in the Spanish publication? Do you have a link to those Navy articles? “Crew members who can’t read the radar and don’t know the most basic things about navigation”. Just to add to my screed yesterday about THE WAR and why it must be the centerpiece of the opposition. Because not only are we spending all of our blood and treasure on it, we’re not even getting what we think we’re paying for. So add it to the list: YOU can’t have health care because YOU chose instead to buy a military that can’t even fight and never wins. re: the TLS shout about the GS in France. my favorite “perfessor” on this(my french being terrible) is Diana Johnstone, for better or worse. …applies almost perfectly to my observations in my part of the hinterland as to what people think(at the feeling, sub-critical level so far) is wrong with the world. Technocrats ruling absolutely, while “allowing” the appearance of democracy and “listening” to the People. Like with brexit…a portion of the initial leave vote was an impassioned growl against the de facto function of EU membership: to put off the unpleasant “necessary” decisions to an unaccountable body “over there”, out of reach of our torches and pitchforks. I see the same mechanism(!) in the proliferation of Arbitration in place of good old fashioned Torts. wherever one turns, Power doesn’t give a damn what we think…or how the various rules and changes and things effect us’n’s. we’re expected to adapt…but the tools and even thoughts that would enable such adaptation are denied to us. we are forced to sing for our supper, while the music, the instruments, the lyrics and even our voices are taken away. Some years ago, when I saw a news item about a referendum somewhere that accomplished some thing or another that the people had been clamoring for…I looked into the history of I&R in Texas…it has been systematically denied to us for well over a hundred years(at the state level)…because of a blatant paternalism: the People cannot be trusted to make decisions. This holier than thou-ism is so embedded in our systems and in the way we experience society that few can even see it…even when it’s laying there bleeding on the table. I’ve been reading Zizek(“living in the end times”) in my early morning quiet coffee time…so I’m a bit fired up,lol. But he also makes me circumspect…the idea of revolution, however embodied, containing the ingredients of it’s own demise/corruption…overlaid by the power of the technocrats to co-opt even the most radical ideas into supporting their wishywashy status quo(eg: beware the kamala/bookers of the world, wearing the Phrygian Cap in public, but Caesar’s toga in their sanctified halls). Resistance is fine…tearing down oppressive superstructures is necessary…but, as Zizek relates…lest we become the Khmer Rouge, we’d better get busy outlining an alternative. Downal wyth Bluddy Behg Hid! Thinking of you and wishing all of you the best. Amfortas sending thoughts of comfort and will light a candle for you and your family. “beware the kamala/bookers of the world, wearing the Phrygian Cap in public, but Caesar’s toga in their sanctified halls).” Now Klobuchar from Minnesota can be added to your list. I cannot imagine writing your wonderful comments day after day while enduring all the draining medical issues with your wife. You must be a superman. Take care of yourself. Thanks Am, take care of life. This, Amfortas, from me also. Suffering brings clarity. I much respect your posts here. Prayers for a good outcome. May your cancer be diminished and your liveliness be enhanced. Paradox is more common than we think and in the drama of cancer it seems to play out (my son-in-law is heavily into that storm in his life). I take Zizek or any other admirer of Hegel with a healthy grain of salt. As for violent revolution he is right though–that’s a dead end. We are stuck with what we have until our culture changes. i take humans with a shakerfull,lol. zizek is one of a handfull of living humans id like to get roaring drunk with around a campfire in the wilderness. others might include camille paglia, or even max boot. fiery, curmudgeonly geniuses, well read and meteoric. total agreement is not something i long for. altho i dislike hegel( im with karl popper,here),hes nevertheless foundational to much of what we see around us. Best wishes to you and yours, amfortas. Best of luck, Amfortas and spouse. I’ve been there, altogether different disease but the same aching suspense. All you can do is your best. Hang in there. Sounds like you have good news. Make it so! I’m hoping you can feel all the positive energy directed toward you & your wife, offering strength to get you thru this, & resulting in wellness. All the best, mate. Please keep writing! Got mes a big ole bowl of weed to celebrate! My aunt recently returned from University Medical Center in New Orleans where she was informed her brain cancer had not only returned but spread. Wishing all the best for your family. So they did raids on Najib Razak’s properties and the police seized “a cache of luxury goods worth up to $273m – including 1,400 necklaces, 567 designer handbags, 423 watches, 2,200 rings, 1,600 brooches and 14 tiaras.” Sounds like that Najib might have saved himself some grief and should have called on the services of that Marie Kondo and her KonMari Method. It’s is so revealing the concealing the M$M are perpetuating in shielding the mass public from the GJ movement. This is the 13th week of the protest and that most useless of all news aggregate, Google, has nothing to say in its World segment today. This concealment is also happening on YouTube. When you search for a news story you get almost exclusive results that have CNN, MSNBC,CBC, NYT, etc…ranked at the top and repeating in different iterations and time frames as you scroll down. It is becoming clear that unless you know the specific web address to go get reliable news, you’re going to be directed to the propaganda matrix. Obviously it’s not just the GJ movement, but it is certainly stark if you are so inclined to be interested in the subject…George Galloway on his weekly show says pretty much the same thing over in the UK, and they are just a hop and skip from France…It’s no wonder friends and family are clueless. not just google news, but google, itself. i go looking for an article i specifically remember…but dont remember the title, author, etc…and try many permutations in search field…specific and general and esoteric…and still get the same historia officionales. it didn’t used to be this way….i’m certain that i’m not misremembering some happier golden era of search. google news is, however, particularly egregious in this respect. taking memory hole to a whole new level. Having one of those useless philosophy degrees, I can only concur. NC is a syllabus for my/our education. I rarely comment here because the level and breadth of erudition of our hosts and the commentators leaves me awestruck. As a Classics Major, the extent of my NC comments are ave atque vale. We are classically trained to rock ur fn socks off! Omina Fausta Cano, I always say. The fix was in the minute advanced search options disappeared. The point was to guide YOU to what advertisers wanted you to see. Advanced and chronological search dispappeared as the search engines chased the ad money. No more of you going to exactly what YOU want to see. The propaganda aspects are just an added layer to the search fraud. Duckduckgo…your move. Bring back advanced (with its ability to remove key words such as “buy”) and chronological searches. They’ve called out Google about search. Startpage allows you to use Google’s advanced search, but nothing gets reported to Google. Google will probably have to do something about that. So far (a year in), I like Startpage a lot more than DDG, which simply does not return enough results for me most of the time. Advanced search alive & well on the desktop..
Go to google.com, lower right corner. Select settings. Menu with advanced search appears. I noticed that when I went looking for the clip of Trump on the 60 Minutes interview, saying the government would be paying for his big beautiful health insurance. Couldn’t find it, although I had found it just the month before. The Republicans, Democrats, and MSM seem to have joined forced to scrub the internet of that one. Never thought I would see it in a civilised, first world nation. Our future? Could this be a kind of Tangara? It is an indian roller!!! Well done! I’m hopeless at identification, but absolutely love the birds not to mention the extraordinary photos. No wonder I didn’t recognize it. Good job. The bird photographed is more in the orange range than the photos shown at Wikipedia, but this species has a big distribution and would show variation. Related to the European roller, which lives in Spain south of the Cantabrian mountains. This is an Indian roller, Coracias benghalensis. 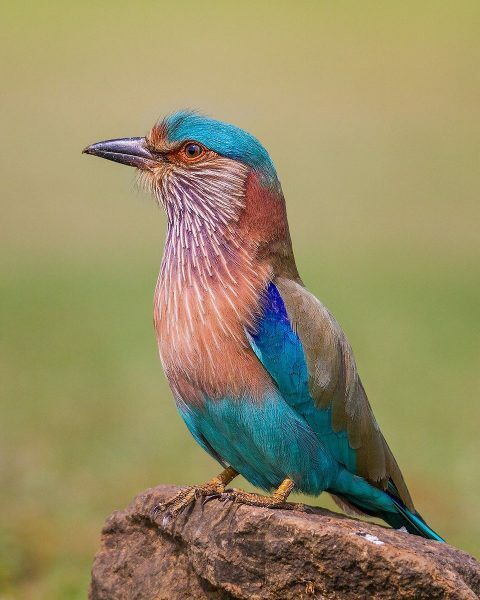 I did a little research & it appears to be an Indian Roller, per the photographer. Apparently, they have a wide color variation, judging from the pictures. Yes, it’s an Indian roller. Just a couple of minutes! In spanish we call them “carracas”. It is an onomatopeia so you can imagine the sounds they produce. Ahh… I’m familiar with them as Caracas (tho’ I don’t speak Spanish). Their voices are as loud as their coloring if I’m not mistaken! I hadn’t heard of a ‘Roller’ before, so had to look them up. I soooo love that pretty neodinosaur .. great complimentary color scheme. Regarding polar bears: Gruan had same story, zero mention of climate change, the number one cause of polar bear starvation. These things just happen by chance, amirite? Polar Bears have their picnic. Picnic time for Polar Bears! They never have any care! Because they’re tired little polar bears. Wow! Saturday radio — Big John & Sparky — what a flood of nostalgia. Thanks! I read that they prefer igloos however. Hard on the outside but soft and chewy on the inside. This is very important. I have seen improvements in the management of rivers in a much smaller scale in Spain but it has taken too long to realise their important roles apart from water availability. Anyway the article makes a lot of sense and I think that given the regular seasonality of floods and droughts affecting Ganga and tributaries (this is supposed to be less of a problem in Brahmaputra river), given the inmense amounts of sediments those rivers carry, and given that climate change will increase, not decrease the extents of those seasonal variations, plants to make them navigable and divert their waters look like sure loosers. Not picking on you! — but man the negative view of nature’s process is just built into the (English, anyway) language, isn’t it? Floods are what produce the most fertile land on the planet. Droughts are what keep the jungle at bay. Ganga is its “floods and droughts”, they aren’t an external parasite of some sort. My very limited ability in the use of english is my fault! Should I have chosen another rather than “affecting” with such a negative bias. RE: HP’s ink DRM instructs your printer to ignore the ink in your cartridge when you cancel your subscription. the customer! Looks much better too. Have you seen how small those toner cartridges are lately? Nothing like having to throw away a laser printer you’ve had for years only because the only place to get refills any more are from gyppo Chinese garbage suppliers, and they malfunction about a week later. Our society is built on a recursive mountain of disposable crap, resistance is futile. But I’ve got a bad attitude today – I’m due for DMV inspection and the engine light just came on. Same thing, but instead of a $250 laser printer, it’s a $20,000 car. And now it’s time to think about how many more years I’ve got before I drive a 100% perfectly functional vehicle to the crusher due to a persistent little light. You’d think there would be firmware hacks that could shut that crap off by now. Engine lights are part of the federally mandated pollution control system in a vehicle. We don’t have vehicle inspections where I live, but we are under a federal mandate to have the pollution control system tested every other year. Your local auto supply (like an Autozone) will often check the code(s) for that engine light so you can be better informed about the nature of the problem(s). It could be anything from a loose gas cap to a faulty sensor. Some fixes are not very difficult or expensive to repair. Others are not so much fun. All that said, if I ever purchase another vehicle, it will have points, a carburetor and a distributor cap. Oi. I had the same issue for years with my mazda. Engine light nonsense, which never had anything to do with emissions, was contantly preventing me from actually testing. They won’t let you if a light is on. So every year I was paying the full “default” amount to have a “state approved” emissions expert work on my car, so I could get approved. You have to spend $_______ and they rubber stamp you without a test. The two or three times I didn’t have a light on, the car passed emissions just fine. The whole process feels such a scam. A tiny 3/32nds or smaller if you can find the bit, drill hole through the middle of the light disables it. smear vaseline on it to make it look like “dirt”. Is there a fuse you can remove to disable the light that won’t affect the function of the others needed for inspection (such as turn signals, etc)? Put black tape over it. It took several returns to the repairman, but my Canon MP287 with ink tanks finally worked. Right. A set of 4 100 ml bottles of CYMK (Cyan, Yellow, Magenta, blacK) costs less than $10 and lasts a couple of years (I don’t print much). They’re very finicky, but I can afford this. The two cartridges for my RGB cost aroung $30 and lasted a couple months. The ink literally evaporates. Too bad, HP used to be a really good company. I understand the same thing happened to Electrolux, which also used to have excellent products. Jerri-Lynn – Your link for the exclusive on the US considering tariff changes with India does not have the URL attached. Clearly biased, since it completely ignores the positive effects on the health of CEO salaries. For American Big Game hunters, Columbia is a lot closer than Africa and nobody will give them any grief for shooting Hippos. So, win-win? Don’t have a cow but, at one point in history, it could have been that Americans weren’t having cows at all. Had the country’s cuisine gone on a different trajectory, Americans may have all been eating hippo meat instead. In American Hippopotamus, author Jon Mooallem recounts this fascinating and altogether quirky time in history. The idea of hippo meat came about at the beginning of the twentieth century. At the time, a combination of high rates of immigration, increased populations within cities, overgrazed rangeland, and escalating meat prices led to a demand for meat that couldn’t be met. It became known in newspapers as the Meat Question, and two colorful characters, Frederick Russell Burnham and Fritz Duquesne, proposed hippopotamus as the Meat Answer. Frederick Russell Burnham was the inspiration for both Indiana Jones and the Boy Scouts. A source of meat for us or for the hippos? They are reportedly quite dangerous. Recent Bezos news says that he likes to eat iguana. This brings to mind the Matthew Broderick/Marlon Brando The Freshman where a club of rich people smuggles in endangered species in order to eat them. Clearly satire meets reality in our Jeff (even though iguanas are not endangered). Dunno if you’ve been in a zoo where you can get close enough to see how big they are. OMG they are ginormous. That much mass going in any direction will flatten or at least damage anything that gets in its way. And huge jaws too. They kill more people in Africa than any other wild animal. But they can only run in a straight line. So, if you’re ever being chased by a hippo, zig zag! the things you learn on naked capitalism. hope i never have to apply this. Wow, important safety tip there. Thanks. Travelers in Africa (or Columbia) take note! That is exactly the kind of news I like most, actually! The kind of news I can startle a 2nd grader with! Notice that the most recent building mentioned in that book, the Ford Foundation Building, was built in 1967 which was over half a century ago? Building design really turned to crap after that and so many buildings I see are just ugly concrete and glass behemoths meant for a limited life-term with no thought of beauty. In the city nearest where I live there are still buildings that survive from the 19th century that are easy on the eye to look at with a fabulous amount of detail put into them. So many modern buildings are so ugly that that Kunstler has a section on his site called Eyesore of the Month but be warned – have the eye-bleach close at hand. Might be time to re-read Tom Wolfe’s “Bauhaus to Our House” again I think. Just more grist for the future Ruinmen. Kunstler would have had some fun with the Sydney Opera House had one of these designs been preferred to Utzon’s. We dodged a bullet there, though not everyone thought much of the eventual winner. Clive James famously said it looked like ‘a typewriter full of oyster shells’. That was a great article in the grauniad, glad somebody else in here noted it. Building design really turned to crap after that and so many buildings I see are just ugly concrete and glass behemoths meant for a limited life-term with no thought of beauty. In the city nearest where I live there are still buildings that survive from the 19th century that are easy on the eye to look at with a fabulous amount of detail put into them. I subject dear to my heart and something that makes me want to just vomit. Violently. Then weep. The impetus of architectural styles since the turn of the nineteenth century was the dislike to Victorian excessive, even garish, style, the need to replace all the destroyed buildings, especially housing of both world wars as well as developing new office and manufacturing buildings. From the 1880s to the 1960s, Arts and Crafts, Art Deco, Baushous, New International Style, Midcentury Modern, and Brutalism under the leadership of designers and architects like William Morris, Frank Lloyd Wright, Walter Gropius, Ludwig Mies van der Rohe, and Le Corbusier. Intelligent and fine people tell me they like Brutalism and I think they’re batty. :-) I loath Brutalism although a person of Le Corbusier ability can make it work on some level. However Brutalism is almost guaranteed to fail because the average architect is nowhere near the level of someone of Le Corbusier’s ability. I think that the Twentieth Century, using the First World, Second World, and Cold Wars as well as the Great Depression, and finally the insidiously destructive political economic and social philosophy of Neoliberalism in the 1970s, replaced the hopefulness of pre-Great War Europe with the shallowness and despair of modern public thought. You can look at not only architecture, but also art, clothing, philosophy, and economics. First colonialism destroys the most non-Western societies, then Western Civilization almost commits suicide using the various wars as well as economic and social disasters seriously. The post war Bretton Woods System, the United Nations, and civil society in general are undermined, Bretton Woods fatally, with neoliberalism being one of the weapons. Western society, especially American society is greatly atomized, impoverished, perhaps dying because of all these things; I think the current vomitous architectural “styles” like American Baronial are a symptom. Architecture, art, clothing, thought all show what is going on in a society; our society is not doing so well, so nothing we have is looking well. A couple of comments on fire insurance in California. My firm ( I am a RE Broker) has advised all of our agents to make any offer on a country property contingent upon being able to obtain wild fire insurance. Insurance companies are limiting their exposure to wildfire losses by capping the policies they are willing to write by zip code. if you are buying a country property in California it’s a good idea to use an insurance broker who can place insurance with a number of insurance companies. It’s a prudent move by insurers, one went belly up after the Camp fire. Won’t be long before they creatively exempt themselves from climate change related disasters and collect the premiums anyway. Refusing to underwrite is bad for business. >Refusing to underwrite is bad for business. Yup, and collecting premiums that you have no intention of every paying on is great for the self-same business, so we know how it is gonna go. Sigh. We’ve got fire insurance on both of our places, and last month I almost started a conflagration, on account of writing the insurance check so quickly, but luckily it never got past being a little scorched. Got to love Realtors ™ and their euphemisms — “country properties,” eh? Not “will burn next houses”? Thanks for the information, though. And of course everybody’s got to make a living somehow. One wonders why there has not been a “Florida solution” worked in CA: Here the major insurance dominants just stopped writing homeowners and some business insurance after big “losses” due to hurricanes. I guess the justification was that the big national risk pool creators had divvied up their “coverage areas” to concentrate and cordon off the “risky exposures.” By among other tactics, creating state-by-state sub-corporations and then instead of risk-pooling over bigger areas, being able to give cover to the state insurance regulators to allow them to exit the market, because they just could no longer afford to have these concentrated risks. $1900 and maybe $3000 more per year than the average for the rest of the US. And from my own experience with Hurricane Irma and its aftermath and attempts to get satisfaction from one of the better rated insurance companies here for damage done, and all I’ve read about others’ similar or worse experiences, crapification is the norm here too. So all you Dems in CA, you nominally run the legitimizing machinery of the state. Time to get on the stick and provide state-underwritten coverage for all those effing Country Houses that satisfy the pleasures and desires of those who still seek out death trap pleasure palaces. You have a yuuuge Realtor ™ lobby there, allied to all the other machinery of “the market” like “developers” and the construction industry and cement makers, anxious to collect those commissions and spiffs to keep building into, or selling from within, those wildfire and “unplanned earth movement” (quakes and landslides, eh?) areas, churning out “policy” and avoiding any liability for misrepresentations and “puffing” and all. Yep, we got Freedom here, and everybody has the right to do what it takes to make a living, am I right? Maybe why “Breaking Bad” was so very popular? Will it be ironic when Science and Democracy fail to move society to take a less-than-blatantly-suicidal approach to the climate crisis, but the family-blogging Insurance Industry rides to the rescue? End-Stage Capitalism , can’t live with it, can’t kill it. A long-awaited contract for the $50 billion Future Submarine program will be signed in Canberra today by France and Australia, following months of tough negotiations and the recruitment of a high-powered lobbyist. The ABC can reveal one of Prime Minister Scott Morrison’s key political confidants was recently hired by the French state-owned shipbuilder Naval Group to help improve a rocky relationship with the Defence department, and to secure a crucial Strategic Partnering Agreement (SPA). At least the Israeli subs, bought in large part with “subsidy money” from maybe the German “government” and good old Uncle Sucker, appear to be armed and operational, with lots of “nuclear-capable” cruise missiles aboard. French machinery is pathetic. The Aussies really should reconsider. We’ve wasted hundreds of hours screwing around with their postage meters to ever trust a French product or company again. I still remember the time that the Australian Government wanted to build these ships that would have helicopters aboard. The ship class eventually got cancelled but the Government doggedly kept going after these helicopters and in the end sunk a billion dollars into this fiasco. It was only when a new government came in that the whole thing got dropped. Instead of buying off-the-shelf helicopters, they went to America to the boneyard. They found these old frames built back in the 70s in believe. The US had tried to give them to some South American countries – for free – but those countries took one look at them and said forget it. Our government, however, paid top dollar for them and then had to micro scan them for micro fractures as they were so old. Then they spent big money trying to renovate them to bring them up to modern standards. I bet a lot of brown paper bags got passed around over this fiasco. See? It’s just not the Pentagon that does stuff like this. One of my constant refrains. It’s not called the military-industrial-political “complex” for nothing. They’re all in the same game, the same “club,” and the rest of us mopes are either just lootable wealth generators and low level resource extractors, useless eaters, or “soft targets.” Or, of course, from my little experience of “war, the racket,” just that “cannon fodder” that the sneering cognoscenti gabble about. But as to these billions and trillions in ‘redirected wealth/MMT money,’ what can possibly be done about it? Wipe the slate with a real knock-dow, drag-out global war and pestilence and famine and all? What hope that on the other side there are beings who won’t just rewind the tape and do it all again? I think even Sun Tzu and probably every war chieftain and supply NCO since the invention of the atl-atl has been familiar with, and benefited from or railed against, the “cheerful corruption.” The British Navy and its contractors were, and no doubt are still full of that — wooden-walled ships of the line built with green and rotting wood, stuck together with copper drift pins and bolts that had the middle portion cut out, rancid food, crappy ropes, honeycombed cannons — and the insatiable opportunism of quartermasters and bosuns and clerks, all covered under the charming moniker “cappabar:” https://www.yourdictionary.com/cappabar No need to repeat, for the “woke” among us on this subject, how it works on this side of Fortress Atlantic, and I bet the Chinese and Indians and everyone else has the same monkey riding their geopolitical backs. Yeah, if nothing else I expect Gazard will be “donating” a sizable portion of the undisclosed sum paid to his lobbying firm into the LNP coffers. I’m sure there was some other funny business going on too, and I doubt any of the government officials involved will ever have a problem finding nice accommodation in France, should they decide to visit after they leave politics, which they undoubtedly will. This article was particularly terrifying. It leaves me wondering how long it will take for generalist species to speciate and occupy new niches emerging as climate change reshapes our environments, and to what extent declining species can adapt to climbing temperatures. I guess I’ll go start a bug garden for the little bit of good it’ll do. Just drove 1000+ miles each way on a one week trip in lieu of flying and I’m pretty sure I could count the number of dead windshield bug spots on two hands at the end of each journey. I did spot the reddish brown rafts of billions fireants for miles along I20 in Louisiana. I get the feeling we are not going to like evolution’s answer to which species survive. I wonder if solar panels and wind farms are also partially connected to it. Perhaps heat redirected from the yard to the panels, or the noise with the latter. Loss of habitat, food, pesticides etc. all contributors. Yet insects are cold blooded and have narrow ranges of temps in which they can live. Humans can live in a broad range of temps as we have lots of ways to regulate. For insects, when things get too cold or hot, they just can’t up and away, like some birds can. No, they are going to die. And, when the insects die, so do we. “..For the last two-hundred years or so, we have been conditioned to think of ourselves as the citizens of a collection of sovereign nation states, as “Americans,” “Germans,” “Greeks,” and so on. There are no more sovereign nation states. Global capitalism has done away with them. Which is why we are experiencing a “neo-nationalist” backlash. Trump, Brexit, the so-called “new populism” … these are the death throes of national sovereignty, like the thrashing of a suffocating fish before you whack it and drop it in the cooler. The battle is over, but the fish doesn’t know that. It didn’t even realize there was a battle until it suddenly got jerked up out of the water. Thank you for the link under the “Class Warfare” section to the New Yorker article about the protest at the Guggenheim Museum against donors connected to the the opioid OxyContin. This painkiller reportedly has led to the deaths of 400,000 Americans, more than the total American mortalities of any war except the Civil War. Watched a brief clip of the protest yesterday evening on PBS Newshour Weekend that showed faux prescription notes released by protestors falling from the upper levels of the museum like snowflakes. Hats off to photographer Nan Goldin and her group for organizing this moving protest against those behind this devastating national epidemic. Thanks, too, for the link to the post from Scroll regarding the importance of preserving river ecosystems in India. It’s not just India, it’s everywhere in the world. In some countries (including in India) rivers have been granted legal status as “persons” under the law by the courts, rightfully IMO. As others have asked, corporations and family trusts have legal rights, why shouldn’t rivers? And why are public rights regarding rivers, which are directly linked to the wellbeing of people, routinely ignored, disregarded and denied? So it’s the same old story – the technology is great in theory, the problem lies in the praxis. Just like every modern-ish crypto tech, starting at least with the German Enigma. We *know* that frequently incompetent, often-lazy and occasionally corrupt humans are going to be implementing the technology and ever-busy malicious actors will be working to undermine and “vulnerablize” it at every step of the way. So given what we know from long and all-too-frequently-dismal experience with previous crypto-tech, it is 100% certain that “larger attack surface” *will* translate into “less secure”. If you ask me, that is darn good reason to be “scared of Huawei”, or more generally, of the SmartEverything ubiquitously-connected-world paradigm the TechBros and the surveillance-addicted governments which support them are trying to ram down our throats for fun and profit. Man years ago one of my friends was on photo safari in South Africa and was attacked by a Hippo and badly munched on. It took him over a year to recover. They are apparently sneaky and unpredictable. This one snuck up on him from behind and grabbed him with his jaws and started chewing..
“Hungry, hungry hippos” is not just a kid’s game, it’s an accurate descriptor. Ornery, too – rather like rhinos sans nose-horn but with a much bigger maw. The build, top speed and general attitude of those 2 beasts seem quite similar. Of the US government to use “economic weapons” against Latin American nations…..
With a question, after all the constant ballyhoo, how far have we ladies really come in this culture? Seems not so far. I’m so sorry. I am using my ipad and I couldn’t make the punctuation work or edit.